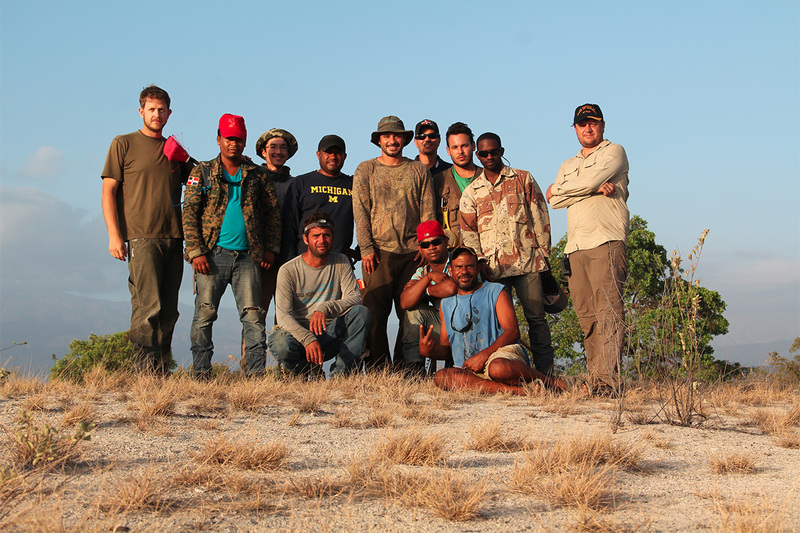 Wes Jolley, our intrepid Islas Cabritos Island Project lead, is once again on Cabritos Island in the Dominican Republic (DR) where he’s working shoulder- to-shoulder with a conservation team from the DR Ministry of the Environment to protect Cabritos’ native species. Wes is joined by our own Jose Luis Herrera, and the two of them are training the DR staff team to become experts in the tracking and removal of invasive species from Cabritos Island. 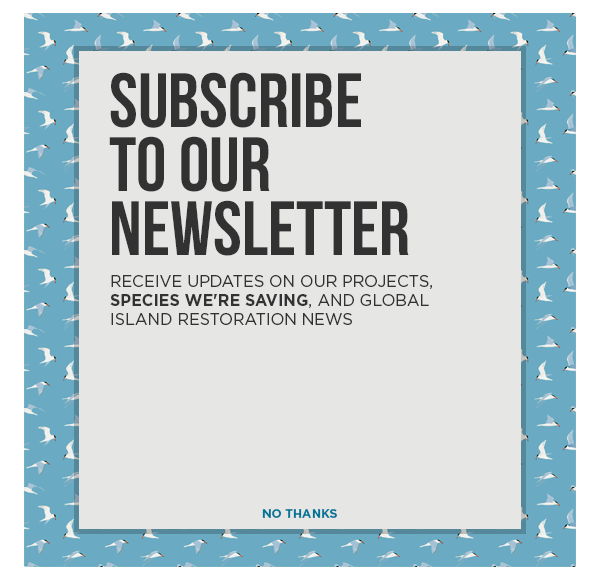 Wes recently sent us this dramatic update from the field as they endeavor to save the Critically Endangered Ricord’s Iguana and Threatened Rhinoceros Iguana. Saludos desde Isla Cabritos! Jose Luis and I arrived in the DR a just over a week ago. As is typical, we spent some time on the mainland before embarking for our residency on Islas Cabritos. We used this time to meet with our partners at the Ministry of the Environment and Natural Resources, provision, and line up final logistics for the mission at hand. This particular trip is unique because it involves a special team of tracking dogs. Invasive species become harder to find the fewer their numbers become. So, these four-legged companions, a welcome addition to the team, shaped our pre-mission activities. This included meeting our veterinarian and making sure the animal control officers were briefed, well-informed, and anticipating the arrival of all four of our special K9 companions. Surprisingly, having dogs along for the ride stepped up the quality of our mainland lodging. 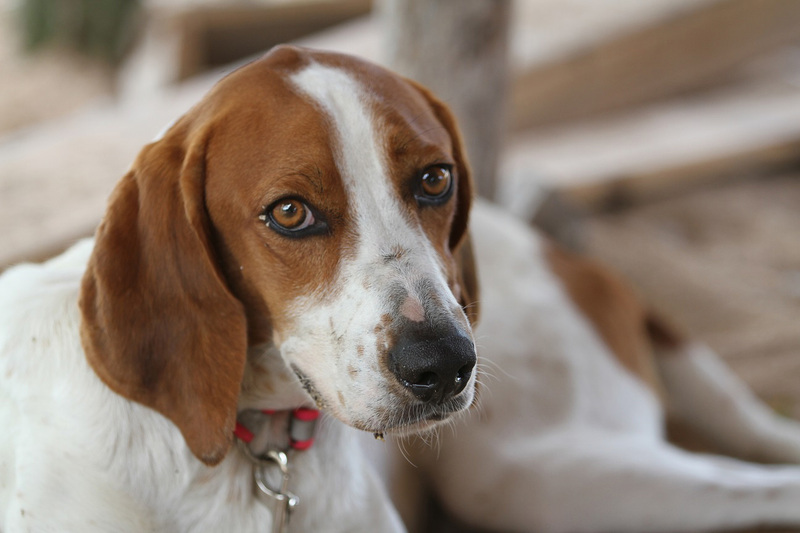 We felt a bit spoiled renting a dog-friendly house 45 minutes outside of Santo Domingo. The house wasn’t perfect, but given comparable costs, the dogs, team, and I all enjoyed waking up to the ocean every day. This was a welcome change from the usual Santo Domingo traffic alarm clock! However, we knew these comforts were fleeting and getting too used to them risked making our move to the island a bit of a shock! So, we settled in, began our provisioning, had our meetings and started monitoring the weather, which had a regular pattern of evening storms, but nothing too crazy. That is until the night the dogs and handlers were due to arrive. That night, we witnessed just about the craziest lightning storm I’ve ever seen. The drive to the airport was a supercharged, drive-through carwash dance club! The lightning created a strobe-light that lit up my windshield wipers 8 times per wiper cycle! This did not bode well, and we were convinced the plane would be rerouted to Puerto Rico or somewhere else. That could mean a long night. Remarkably, we arrived to the airport to find that the flight was delayed only 15 minutes. That plane was landing through the back-end of the storm! I was stressed, but I had it easy because I wasn’t on the plane. The plane landed safely, but dramatically. I overheard one person departing the plane say the landing was “like the plane was chasing its own tail!” This made me wonder and worry about our K9 teammates again. The airport was absolutely packed because other flights had been delayed as well. I was getting nervous…people were streaming off the plane, but no dogs…no handlers.